Is Basketball your favorite game? We have many options to create your dream court whether it’s a small half court or a full court! Our basketball courts provide a safe, superior shock absorption technology, high-performance basketball surface, delivers excellent traction and ball response, and can be customized with team colors and logos. Our high-performance basketball court surfaces are used all over the world for recreation as well as competition. In fact, ours is the only modular surface used in a professional basketball league. 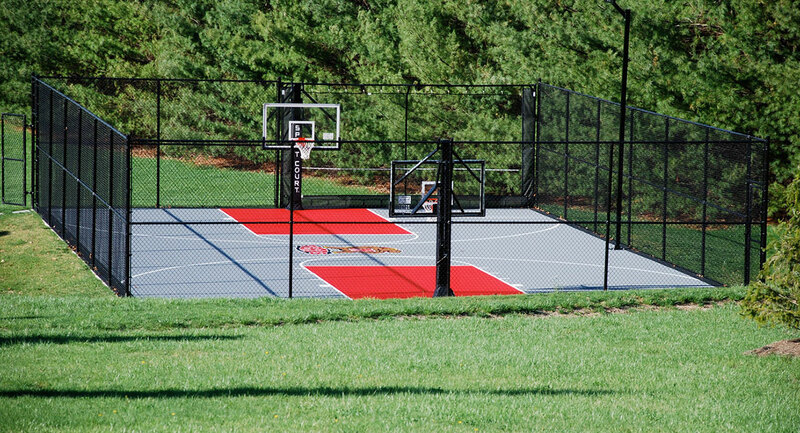 Our certified CourtBuilders™ can install high-performance courts quickly and efficiently. We also combine the safest court technology in the world with eco-friendly materials to make your basketball courts the best for your community and the environment. If performance, safety and quality are important to you, call us now! !